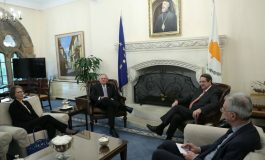 New York.- Greek Foreign Minister Stavros Lambrinidis on Tuesday outlined the investment and growth opportunities offered by Greece, while addressing a dinner hosted in his honor by the Foreign Policy Association. Lambrinidis referred to the realities that led to the Greek, and in general, to the European economic crisis, pointing to deficits, a swelling of the public sector, tax evasion as well as the situation in financial markets. Greek foreign minister noted that the country will not default, that it will remain in the Eurozone and that it will succeed, while citing the measures taken for a decrease in the deficit, structural reforms and the importance of productive investments. According to Lambrinidis, Greece’s fiscal adjustments made since revealing its toxic combination of debt and deficits two years ago were being undermined by common misperceptions. 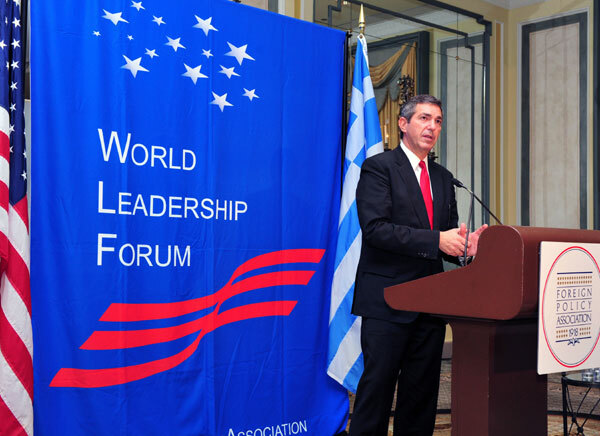 “Basically because some negative stereotypes were developed, it made it extremely difficult for a very successful, very proud people to move to the path of recovery as fast as we would have liked,” Lambrinidis said in a speech to the foreign policy association. Greece earlier on Tuesday pledged to bring forward even more painful austerity measures, convincing international lenders to return to Athens early next week for talks that it hopes will secure the aid it needs to avert bankruptcy. Lambrinidis painted a picture of a country that has admitted it made fiscal mistakes, lived beyond its means “for a few years”, and did not move quickly or comprehensively enough on reforms such as privatisation of state entities. He also said the country has gone to extraordinary lengths to try to fix its problems, but at the same time lamented that the markets and pundits were not giving it credit for the changes it has made so far. Lambrinidis cited the 10% cut in public sector jobs in the last year and a cut in the primary government deficit from €24-billion to €1.5-billion. He also tried, for a mostly American audience, to put the cuts in perspective. “So, in one year, Greece managed to, with huge pain of its people, with major political costs of its government, to cut the deficit by as much as the whole defence budget in the US, if the US were to make an equivalent cut,” he said, referring to a €700-billion general deficit reduction. “How did we reach this point? Why are the markets still not buying Greek bonds?” he said. The fear of a Greek debt default has driven the cost of borrowing sharply higher and put the 10-year Greek sovereign bond yields 21.8% above benchmark German government debt. The three major credit rating agencies have all lowered Greece’s sovereign debt deep within junk status while analysts and investors predict a default is inevitable. “The problem with that is, once you predict default it can become a self-fulfilling prophecy,” Lambrinidis said. “So the mere prediction in the face of proven, undoubted, successful, major fiscal consolidation and structural reform changes, and yet the mere prediction of default kept the markets closed,” he said. Having consistently watched Greece miss its targets, the International Monetary Fund and European Union made clear last week that their patience was running thin, and warned Athens to stop dithering or risk seeing its €110-billion ($150-billion) loan deal cut off. Lambrinidis outlined the various aspects of the economic crisis and the ‘immense changes’ taking place in Greece, in an interview early Wednesday (Greek time) on the CNBC television network’s “The Kudlow Report”. “We are near to an agreement” with the EU-IMF troika, Lambrinidis said, but pointed out three main problems: First, despite the fact that ‘dramatic changes’ have been made in Greece recently, everything was not done perfectly and satisfactorily. Second, the recession in Greece was bigger than expected. Third, the markets perceived that Europe was not “speaking with one voice”. 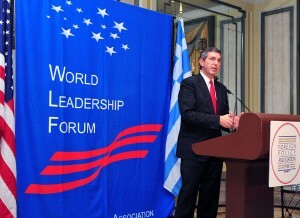 He also predicted that Greece will be in a tough situation for many years but, despite the negative speculations that appear from time to time, “we are still here, and Europe is still here, and the euro is still a very strong currency”, adding his conviction that Greece will avoid default and “absolutely” remain inside the euro zone. Lambrinidis explained that the planning is already in place, not only for what Greece needs to do now but what it has to do up to 2014. 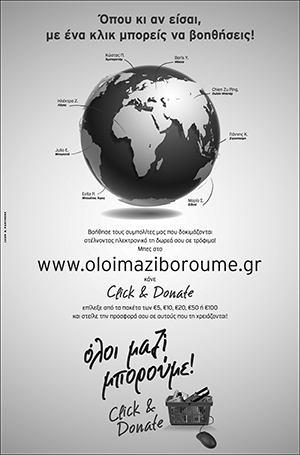 “Greece is not a poor country. It’s a country that was poorly managed for a few years,” he said.